First solution for growing market of solar electric power. Mechanical/electrical endurance 20.000/1.000 ops. 20.000/1.000 ops. 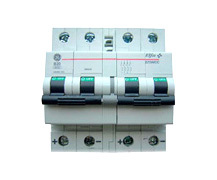 We manufacture low voltage circuit breakers, panel boards and load centers where we market a variety of electrical construction products in the Middle East, Africa and Asia.